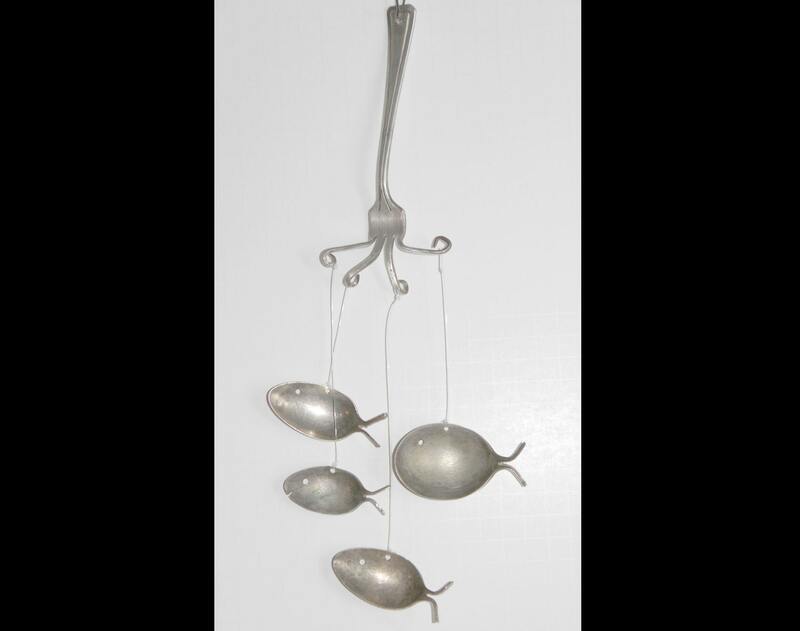 Do you have Grandmas silver plate sitting around collecting dust but are afraid to get rid of it to due to memories? 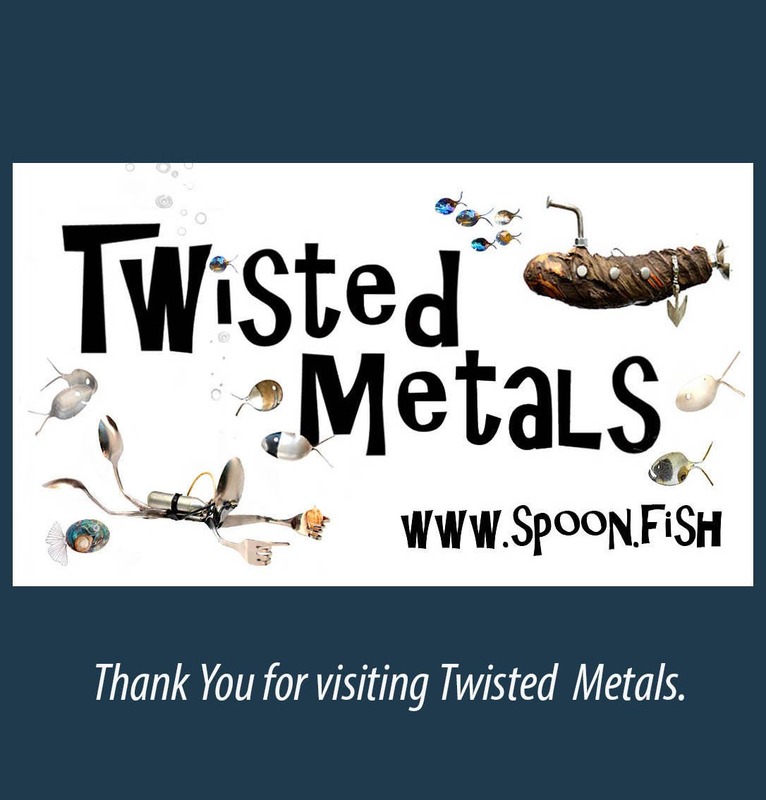 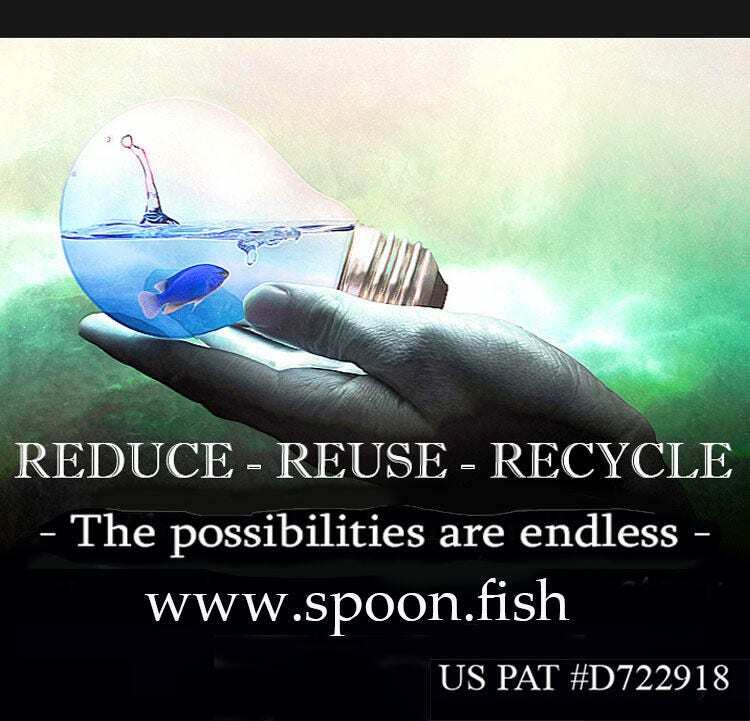 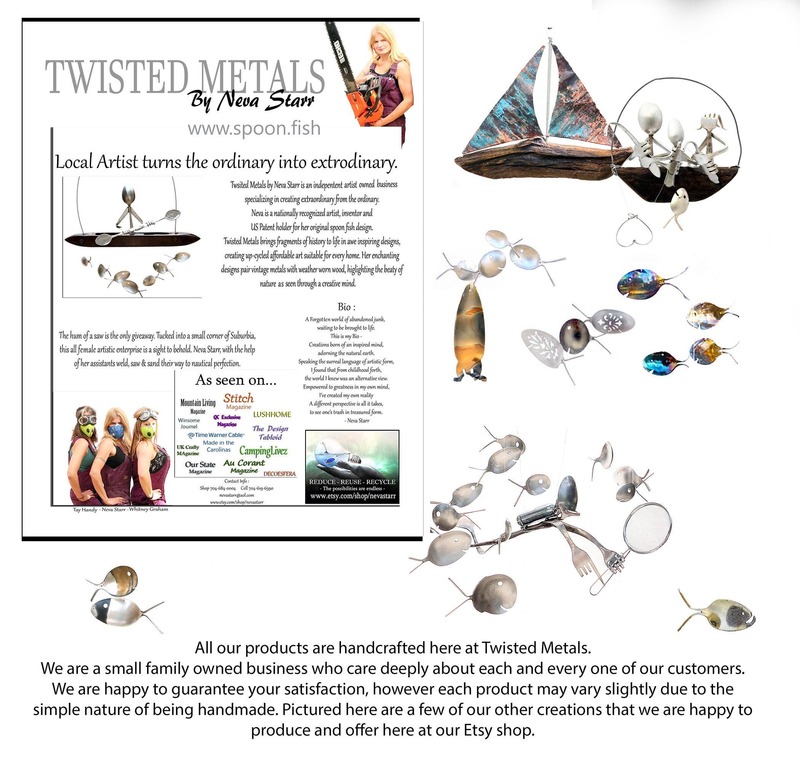 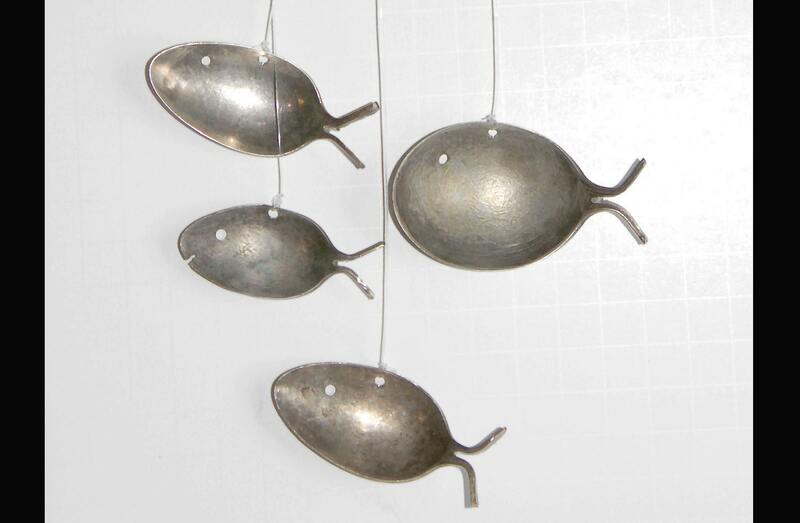 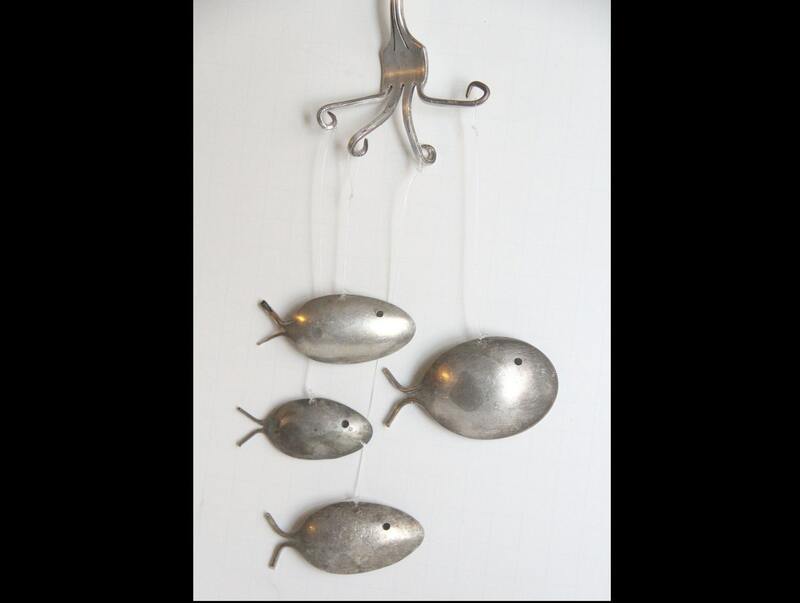 If you order this listing & prefer me to make to your windchimes from your own personal set I will do so at no extra charge - please convo me with your order & I will send you an adress - you will need to send me 1 fork and 4 spoons - & I will create your cutom spoonfish windchimes. 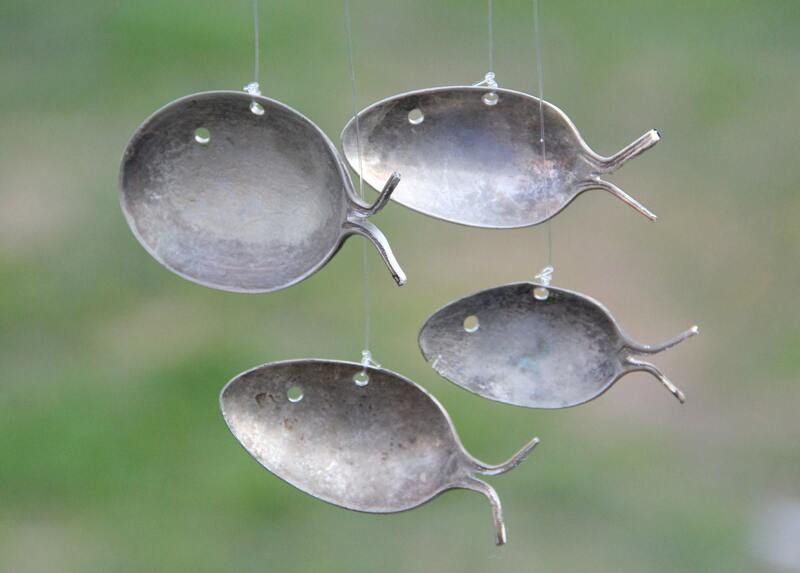 Please allow 1 week from arrival, for me to create & ship your chimes. 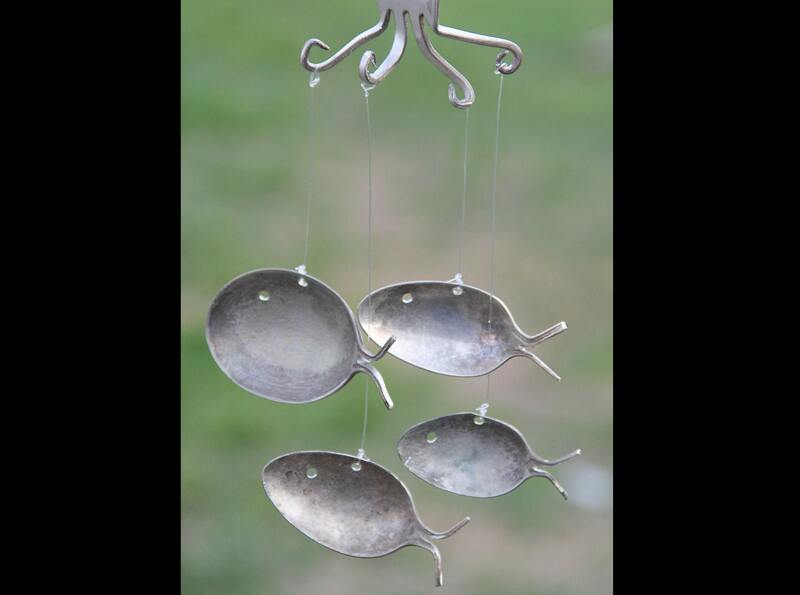 Wonderful gift idea for reunions - I can create as many sets as you have silverplate, instead of ordering each set seperate, please contact me with the number of chimes you wish me to make and I will create you a reserved listing.